Inflatables Vs Fibreglass SUP – what to choose? Do you have storage issues? If you do then an inflatable is an best solution. Drift inflatables come with a bag so they can be easily folded up and stored in a small space in your apartment, or more importantly, in the trunk of your small car so you can transport it and go paddle. Plus you can avoid the oversize charge and headache when flying.The Drift Air inflatables comes as the full kit which includes paddle board, leash, adjustable paddle, bag, pump and fin. Do you have young children that will be on the board also? Want a safe option then the inflatable paddle boards are a safe option compared to fibreglass in regards to if you or your child was to fall. 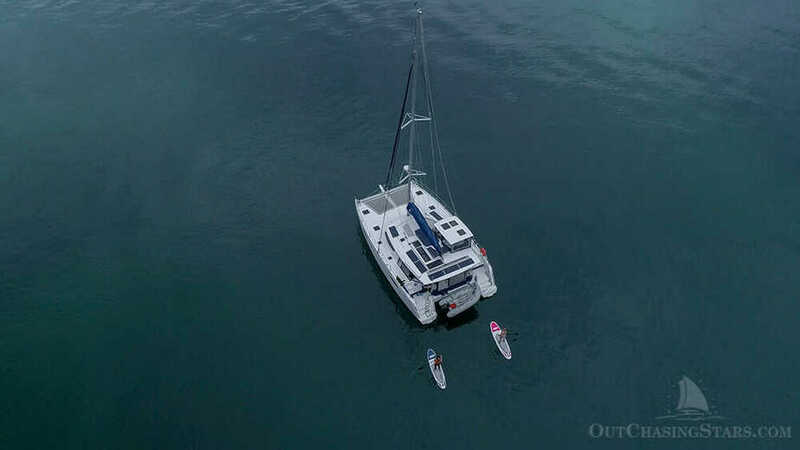 Do you want an all round paddle board for flat water, Ocean and Surf? 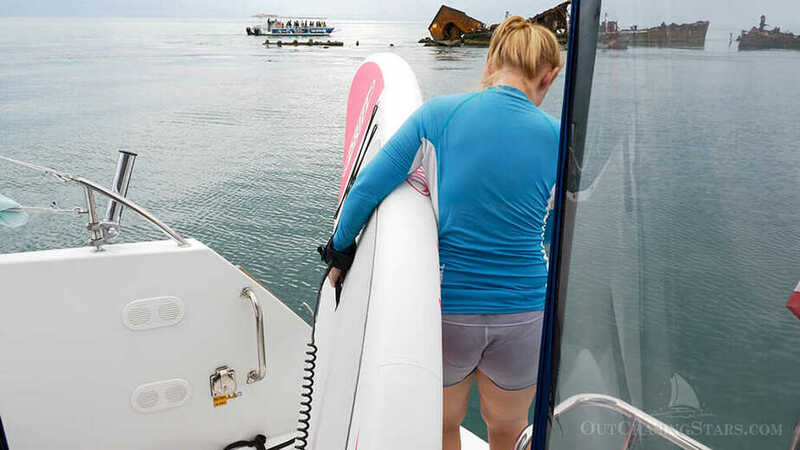 When surfing or paddling distance, a fibreglass/hard board is the way to go.The Drift Fibreglass Range is designed to be used in all conditions. Inflatable Boards are perfect for Recreational flat water and exposed waterways but not so much surf. Have storage and roof racks? While inflatables make for convenient storage, they do take time to set up. Fibreglass boards you just tie it to the racks, drive to your paddling destination and paddle (unless you leave an inflatable inflated all the time). Inflatables generally take about 7 minutes (or more) to pump up however you can leave these inflated and tie onto your roof rack also. Want a good all round board? If you are wanting a board which does it all (flat water, ocean paddling and surf) then a hard board would be your best option to take advantage of all types of paddling. WHERE DO I POSITION THE MIDDLE FIN ON MY FIBREGLASS/SOFT-TOP/EPOXY STAND UP PADDLE BOARD? The most common fin system on SUP boards has a track that is longer than the fin itself. This design allows you to customize the performance of your board via the fin placement either further toward the nose, or tail of the board. Putting the fin all the way forward in the fin slot will make your board feel more maneuverable and make it quicker to turn. The negative is that the board will not track in a straight line as well, and may feel like you’re moving slightly slower. This fin placement is one you’d want to consider this position if you are paddling in smaller or crowded waters, or when surfing. This will increase the stability of your board, and will also increase the boards tracking and speed. Negative is that it will be slower to turn. This is a good placement if you’re paddling longer distances and want to maximize the tracking of your board. This fin placement will give you a mix of all the performance characteristics of the other fin placements, and is the one most favoured by paddle boarders. Positioning your fin In the middle of the fin slot will give you a mix of control, stability, tracking, and speed on your board. Getting onto the iSUP from the water is incredibly easy. The iSUP will fit on top of our dinghy davits when inflated. 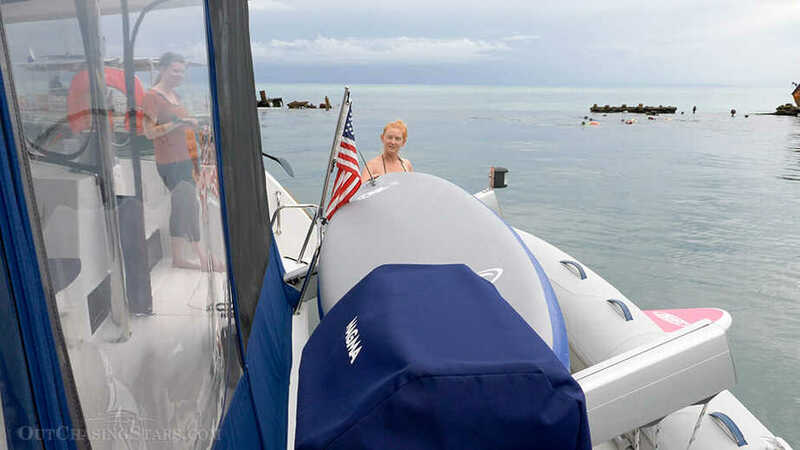 Several friends keep their inflated all season long and just properly secure on deck while on the move. Any paddleboard is just one solid piece of material or one tube. This is much easier to clean, as there’s no crevices and folds for sand to get stuck in. We’d been carrying the new paddleboards around on Starry Horizons for a while. 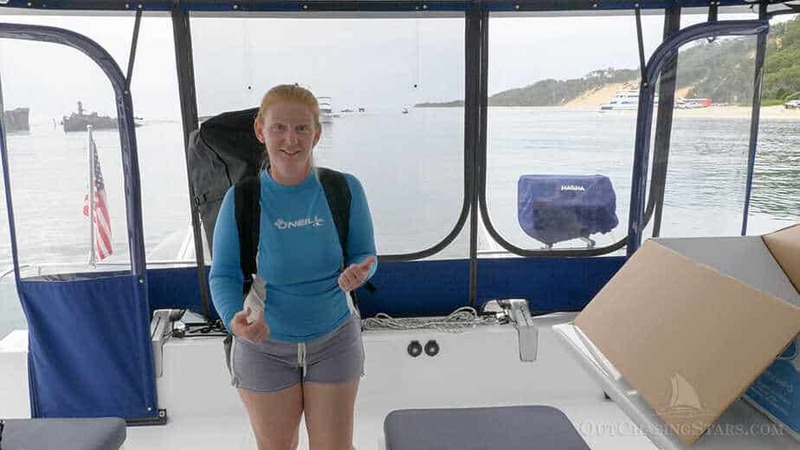 Unfortunately, the water here on the east coast of Australia (south of Moreton Bay) hasn’t been all that pretty, plus we were traveling away from the boat a lot. Finally, when our friend Madeline was visiting we’d just spent a few rainy days cooped inside playing games. The wrecks of Tangalooma ended up being a fun place to get the paddleboards out for the first time. There were no instructions that I could find, so I was a bit on my own, but I was able to figure everything out. The backpack with paddleboard in it is surprisingly light. Feeling the fabric of the paddleboard. I’m no expert, but it feels good! Carrying Lady Gemini all by myself! 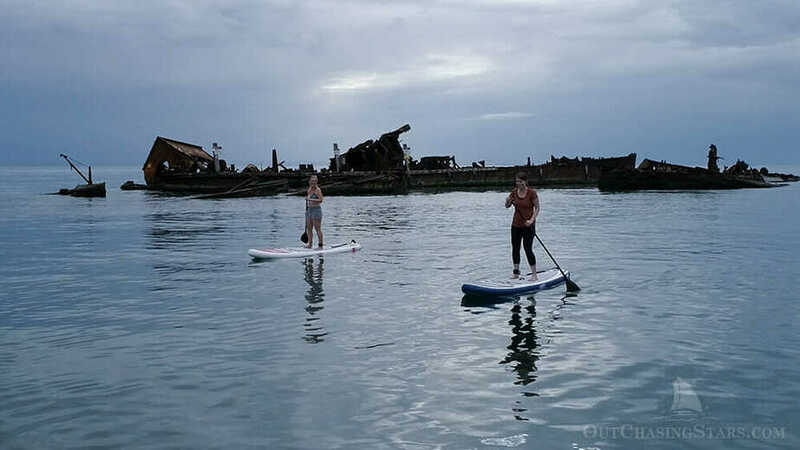 Madeline and I paddleboarding at Tangalooma Wrecks. Pulling up behind Starry Horizons. 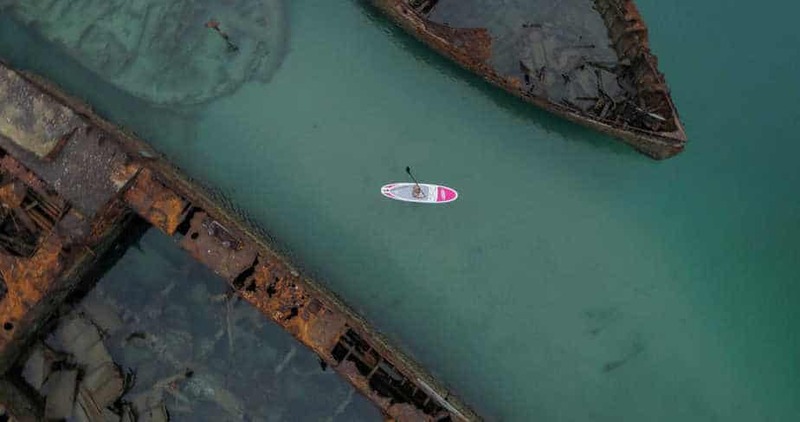 Paddleboarding in the Tangalooma Wrecks. 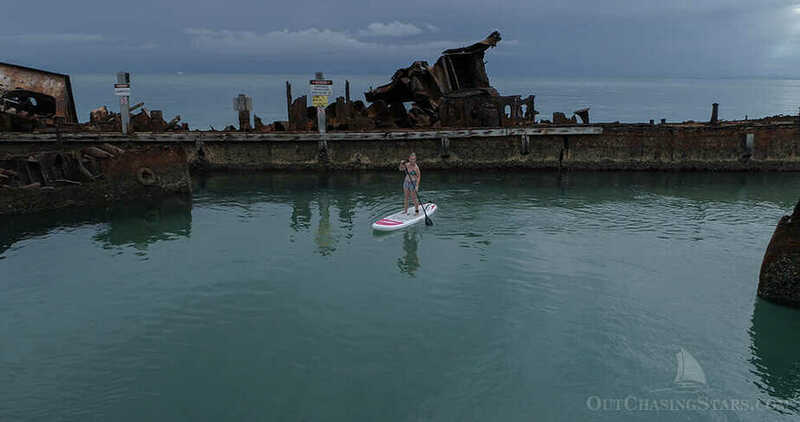 Testing out my new Drift Paddleboard at the Tangalooma Wrecks. Lifting Sir Gemini up over my head to store him on the davits. Sir Gemini on the davits. So far, so good. I am very happy with the ease of inflating the paddleboard and assembling it. It is smaller than our old ikayak and lighter as well. The stability is good, which Madeline can attest to. Madeline had never paddleboarded before, but she very quickly caught on and was able to stabilize herself and paddle around. I was impressed with how much speed I could pick up. There is a pretty strong current near the wrecks, but both Madeline and I had no trouble paddling back to the boat up current. 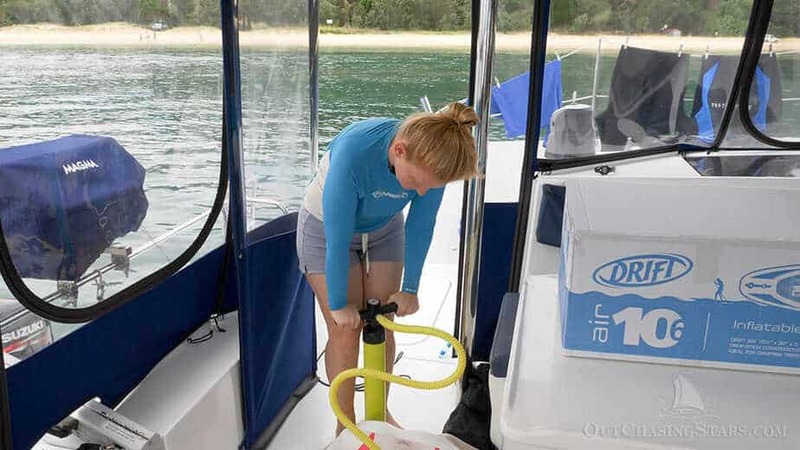 The iSUP fits well on the davits, and hoses down easily. I am so glad I got to take a test run at such a unique place, and I look forward to a lot more amazing paddles soon! 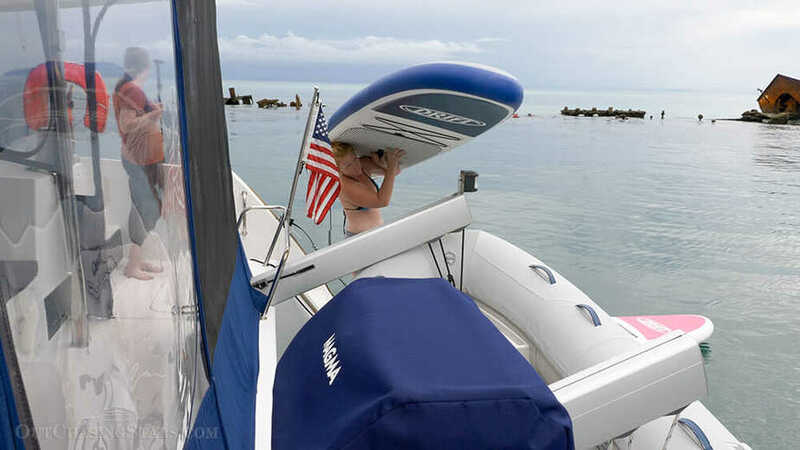 Beginners will find soft top paddle boards convenient and easy to use. But, what exactly are soft top paddle boards and what is the difference between these boards and regular ones? These are the cheapest paddle boards, but that does not mean they compromise on quality. 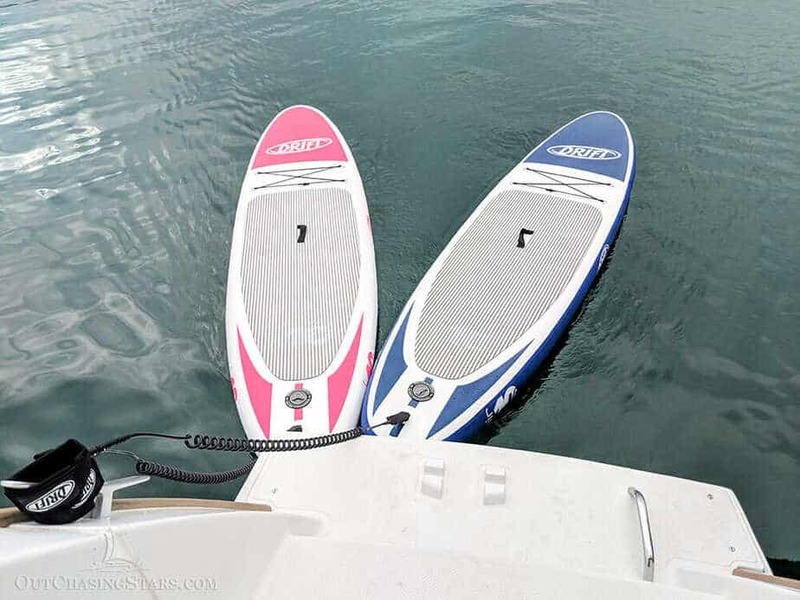 The material used in construction and the design are what define soft top paddle boards. These boards are made of soft epoxy fiberglass material and are designed with foam cores. These are meant to reduce the weight of the board; and therefore, make it easier to transport. The softer materials used to make soft top paddle boards are more durable than those used in harder boards. Soft top boards never crack, and this increases longevity. In fact, they normally last for an entire lifetime. They also feature wide surfaces, and this is part of what makes them popular among beginners. In case you lose balance, your landing will be easier. The biggest advantage of soft top paddle boards is their ease of use. 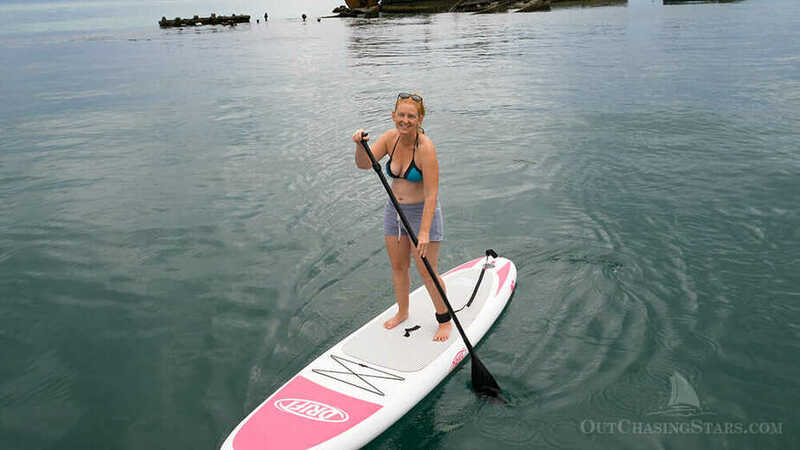 Many beginners find soft top paddle boards more stable, comfortable and easier to balance on. That is also part of the reason why these boards have become popular among people who practice sup yoga. Yoga involves a lot of complicated moves, and losing balance is quite easy, especially on water surfaces. Water increases the intensity of the workouts, and this increases the need for balance. Soft top paddle boards provide this balance. Also, the cushioned surface of soft top boards reduces the pressure on knees and feet. In case you get shaky, these boards will offer you a safer landing, therefore, preventing any serious injuries. Because of the construction, soft top paddle boards are also a lot more durable. They can take a lifetime of abuse without requiring a lot of trips to the repair shop. That is actually the reason why rentals stock soft top paddle boards. They will last much longer than their harder alternatives. On top of this durability, these paddle boards are very cheaply priced. WHO SHOULD USE SOFT TOP PADDLE BOARDS? Soft top paddle boards are mainly meant for people who just want to have fun. They don’t call for a lot of effort and are a lot more stable. Unless you want to make paddle boarding a serious sport, you should stick to soft top paddle boards. If you like to experiment with different riding styles or want to try them all, softer top paddle boards will be the best for you. They are a lot more versatile than regular and hard paddle boards. Also, beginners should opt for these boards as they are easier to use. Harder boards are meant for people with experience in the sport. We have created a Soft SUP uniquely our own. A full layer of 6oz fibreglass epoxy is applied to the deck with an additional partial layer applied over the ‘standing area’ for support. Two durable polyethylene layers of varying density are applied to the bottom. Lastly the flexible IPXE (a foam like material) is laminated to the deck and over the rails.. You can expect softer landings when you lose balance in the water. If you intend to go on long paddling sessions, this would be a great product as it has a nice grip on the surface. Our Cruiser Soft Tops are only $699 which includes paddle & leash.